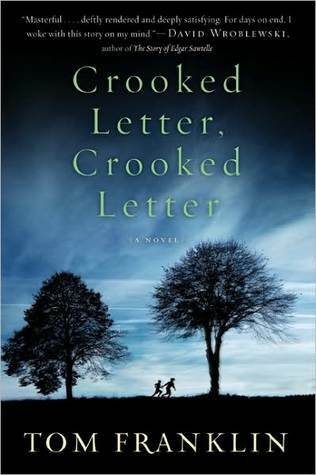 I read Crooked Letter, Crooked Letter based on my mother’s recommendation. It is the story of two men in Mississippi, Larry Ott and Silas “32” Jones. Larry is accused of kidnapping and murdering two women, and Silas, who is the town constable and grew up with Larry, tries to uncover the truth behind their disappearances. Along the way, Silas uncovers secrets about his and Larry’s families — secrets that were never meant to come to light. While I loved that the author captured the Southern dialect perfectly (being that he was born in Mississippi) which made the dialogue feel very authentic, I found the novel to be very predictable. Less than halfway through, I had already correctly guessed the two major plot twists, which made the denouement feel very anticlimactic when they were revealed. The relationship between Larry and Silas, which was basically forbidden when they were children because Larry was white and Silas was black, didn’t feel forced, which I appreciated. Crooked Letter, Crooked Letter was a decent read, but ultimately forgettable. Very little in the novel is shocking or original, but it would be good for a quick read to pass the time on a long car or train ride. Tagged crooked letter, mississippi, reading challenge, tom franklin.